At Playworld, we understand that purchasing school play equipment entails a diverse variety of considerations. Making an investment in high-quality school playground equipment means balancing budgetary requirements with the needs of the community — while also considering issues such as inclusive play and sustainability. 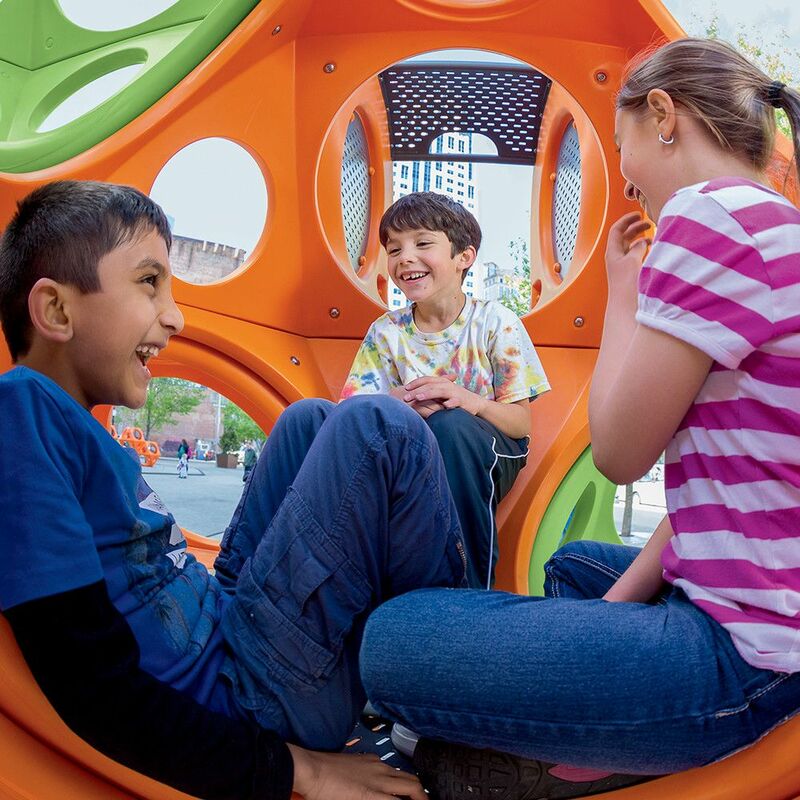 Explore Playworld’s playgrounds for schools, and find out how we can help you maximize your budget with American-made, sustainable equipment. Each and every one of the playgrounds we design and create incorporates our philosophy of Play Richness — a philosophy that balances a child’s need to develop physical, emotional and sensory skills. Our designs welcome children of all abilities, making our structure fully ADA-compliant as well as fun. Kids can play with or alongside each other as they each develop at their own pace; children and caregivers with special needs can navigate easily through our designs. Every user practices balance, coordination and problem-solving skills at challenges suitable for their own interests and abilities. Forty years of playground design and construction has taught us that staying successful means always improving our designs to meet the needs of today’s interests. Our NEOS Electronic Playgrounds combine exciting video game action with fun outdoor aerobic exercise. 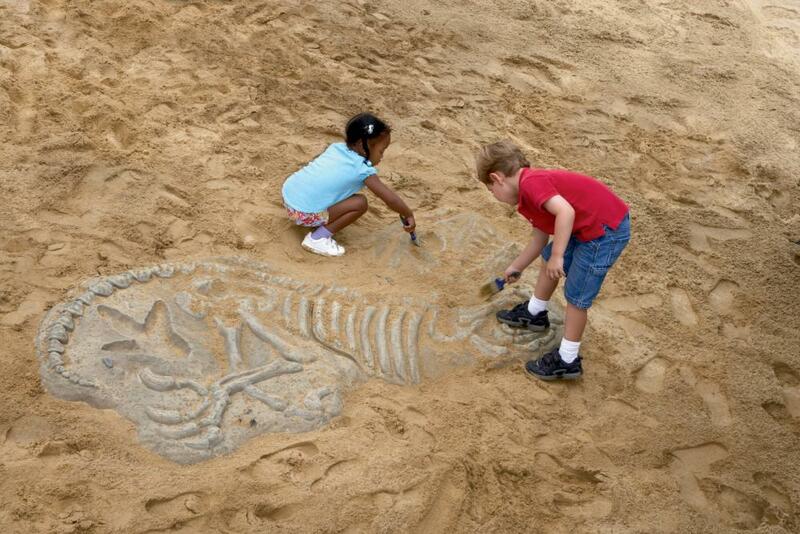 Our Origins playgrounds blend nature and play. We create fitness systems perfect for older adolescents (and even adults), as well as traditional playgrounds that help kids of all ages and abilities burn calories, engage the brain and enhance your local community. We also understand the legacy of play shouldn't damage our children or the environment. That is why we eliminated dangerous PVCs from 99.999% of our products and modified our production process to incorporate sustainable design practices. We’re the first — and only — playground manufacturer to achieve a Cradle to Cradle Certified Silver award. Best of all, Playworld features playgrounds ideal for a range of needs and budgets — so we can customize a design for you that will be within your limitations. Explore our options, contact us and find out how Playworld can enhance your community with inclusive, sustainable playgrounds.